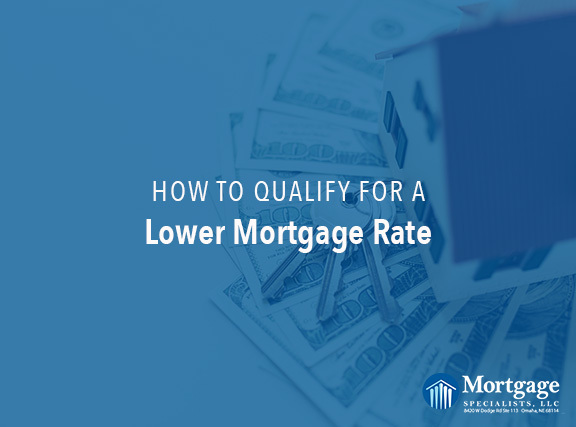 When borrowers come in for a pre-approval, it isn’t uncommon for them to ask how they can qualify for a lower mortgage rate. The problem is, most have waited until a week or two before they’re ready to apply for a mortgage to really focus on their finances. At that point, it’s best to discuss your options with your lender because there really isn’t very much that can be done. Borrowers with a credit score of 760 or above typically get the best rate. The higher your credit score, the better rate you’ll qualify for. Below are a few ways to improve your credit in the months leading up to applying for a mortgage. On a similar note, try to never max out any one line of credit. If possible, try to use no more than 30% of the credit limit. Meaning, if you have a credit card with a limit of $3,000, never have a balance of more than $900. As you know, it’s entirely possible to get a loan with less than 20% down. However, lenders require you to pay mortgage insurance if your down payment is less than 20%. By saving for a larger down payment, you can significantly reduce the amount of mortgage insurance you pay. Mortgage insurance pricing is divided into tiers every 5%. This means that if you put 5-9% down, you will pay the same amount for insurance. If you can manage to put 10% down, you can reduce the amount you’re paying for insurance. As you can see, a little planning can go a long way in obtaining a lower mortgage rate. Every borrower’s situation is a little different and these are broad suggestions to help lower your mortgage rate. If you would like a more personalized plan of action, please give us a call at 402-991-5153 or email brent@mtg-specialists.com to set up an appointment to talk through your options. We would love to help you qualify for the best rate possible!